Integrated Consultants, Inc., test specializes in unique technical process engineering services for government and industry. We design, build, and integrate evolutionary prototype devices and systems for complex applications. Our technically proficient management and staff work at all levels to ensure successful results to our projects. Integrated Consultants, Inc. has developed the mechanical chassis and electronic assembly hardware for the Expeditionary Development Laboratory (XDEV) low Volume production requirements of the Digital Mapping Junction Unit (DMJU) Version 2 and Version 3 for NAVAIR NAWCWD. 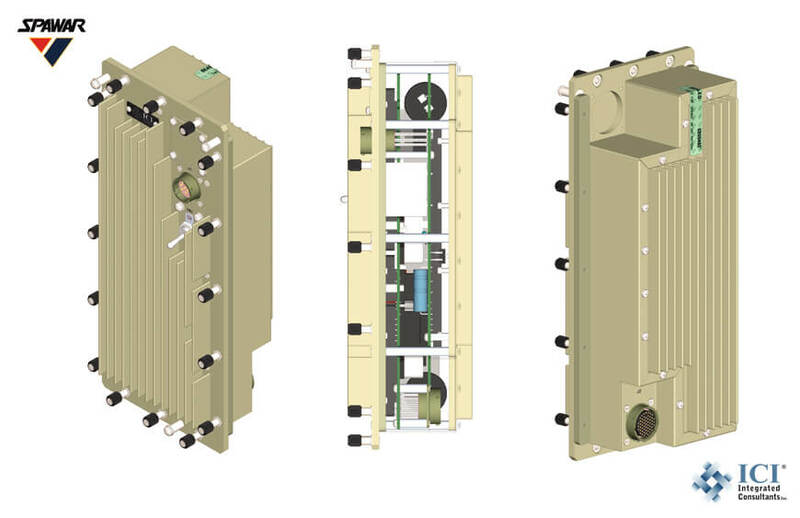 Integrated Consultants, has developed and manufactured the version 2 of the DMJU for NAVAIR NAWCWD China Lake. Power Supply Form, Fit and Function. Integrated Consultants has supplied Form, Fit and Function replacement Power Supplies for the MINI-DAMA Communications System .